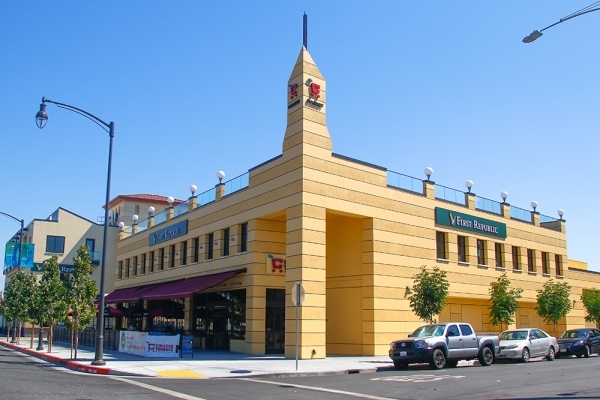 College Terrace is a newly constructed, 67,538 SF mixed-use building consisting of office, retail, and multifamily components located in the California Ave. corridor of Palo Alto. In 2014 BSD was approached by Canyon Capital Partners to aide in the development of the College Terrace Center in Palo Alto. The sponsor on the project was unable to complete entitlements and they were in default on their construction loan. BSD initially provided consulting services, but soon after took a $7M equity position and became the managing member of the development LLC. Under BSD’s guidance and management, the College Terrace Project became fully entitled and construction began in early 2015. In addition to securing the entitlements and managing the construction of College Terrace, BSD brought in First Republic Bank as the anchor tenant which significantly increased the value of the property. In early 2016 the property was sold to Greystone Development.